Let those who are devout and who truly love God, take part with joy in this beautiful and glorious feast. Let those who are faithful servants enter rejoicing into the joy of their Lord. Let those who have laboured with fasting now receive their reward. Let those who have worked from the first hour receive today what they are owed. Let those who came after the third hour keep the feast with thankfulness. Let those who arrived at the sixth hour be also confident; they too will not be deprived. Let those who have delayed until the ninth hour advance, with no fear. Let those who have delayed until the eleventh hour be not afraid for their tardiness; for the Lord is gracious, and will accept the last even as the first. He gives rest to those who came at the eleventh hour, as well as to those who worked from the first hour. He is merciful to those who come late, and he cares for those who came at the beginning. He gives to the one; and he gives to the other also. He rewards the work which is done, and he recognizes the incomplete attempt. He honours the act and he praises the intention. And so let all enter into the joy of our Lord. Let the first and the second receive their reward. Let rich and poor rejoice together. Rejoice today, those who have fasted and those who have not. The table is full-laden; let all feast richly. The calf is fatted; let no one leave hungry. Let all enjoy the feast of faith; let all receive the riches of mercy. Let none complain of poverty, for the universal kingdom has been revealed. Let none grieve for their sins; for forgiveness has dawned from the tomb. Let none fear death; for the death of the Saviour has freed us. He has destroyed death by enduring it. By descending into hell, he has plundered it. Isaiah prophesied this and said: Hades has been embittered by meeting him below. It was embittered, for it was annihilated. t took a body and discovered God. It took what it saw and was conquered by what it saw not. 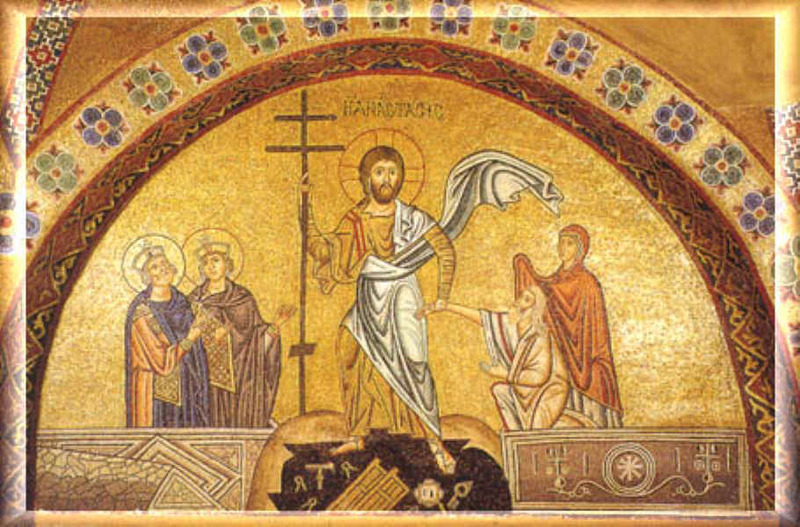 Christ is risen, and thou art made nothing. Christ is risen, and life reigneth. 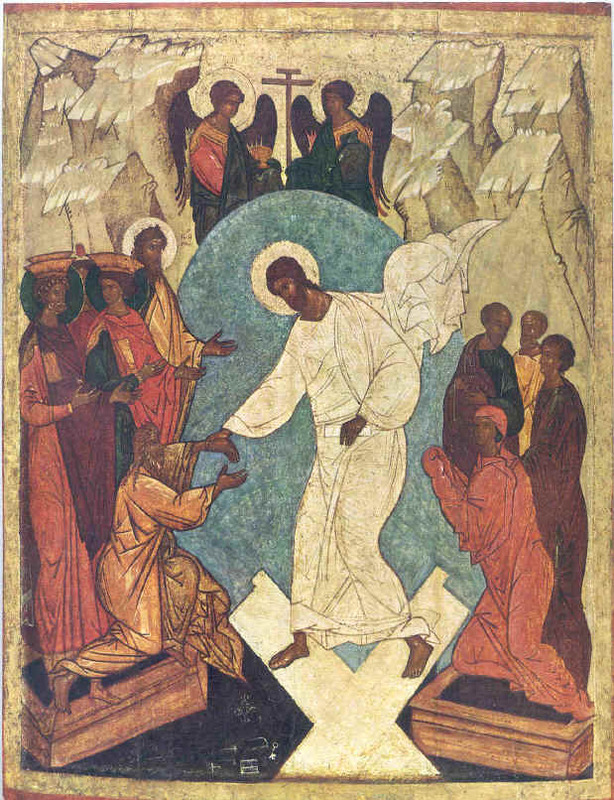 Christ is risen, and none are left dead in the tomb. For Christ, being risen from the dead, hath become the first fruits of those who have fallen asleep.